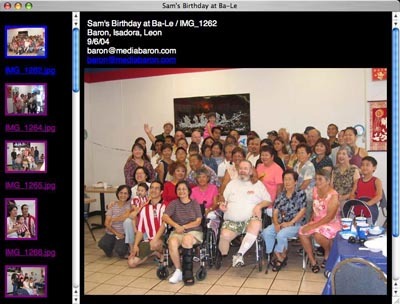 It was Sam’s first birthday at Ba-Le and a crowd was there enjoying the day. 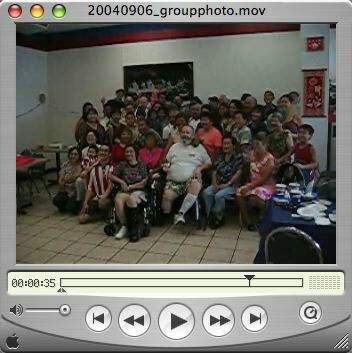 Click on the photo above for the group photo being taken. Click on the above link for a few photos I shot along with Dora and Leon at my table at the party, thanks kids for the photo assist. Lots of food, hey it was at Ba-Le so you know it’s gotta be good, and finished it off with strawberry and mango ice cream. Also had some great cake that Max said came from a place in Honolulu called Ruby’s. Max said it’s on Hotel Street in the red-light district sandwiched between a couple of bars. The cake isn’t the super-sweet type you’d find in most stores, it was good. Thanks for the invite Max!